"L.R." 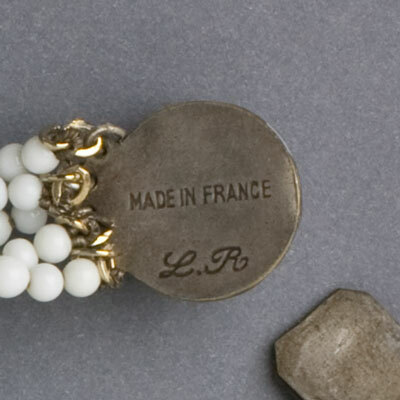 (in script) "MADE IN FRANCE"
Five strands of milk-glass beads in varying sizes are twisted into a torsade, with a sixth strand in the center. 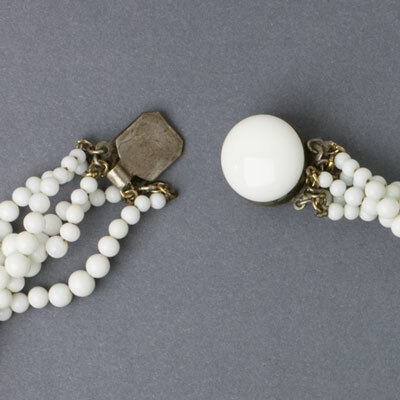 The tongue-in-groove clasp is topped with a white glass button. 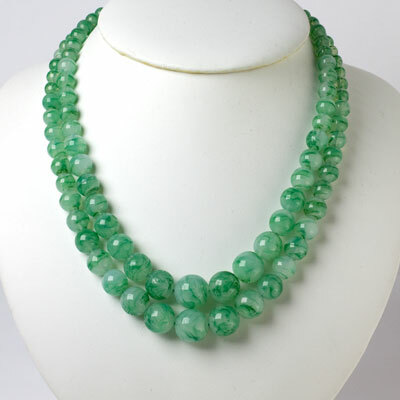 This lovely necklace by the incomparable Louis Rousselet is actually signed on the back of the clasp – a true rarity. (Most of this maker’s pieces had only a hang tag rather than the maker’s mark on the piece itself.) 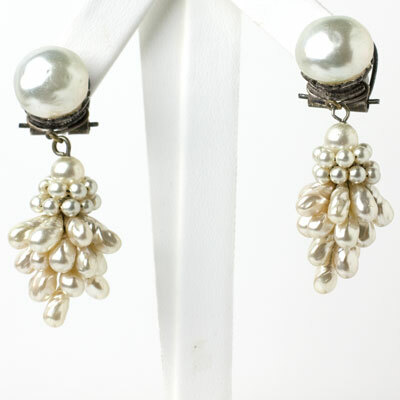 I have other lovely French pieces by or in the style of this maker — scroll down to see them. 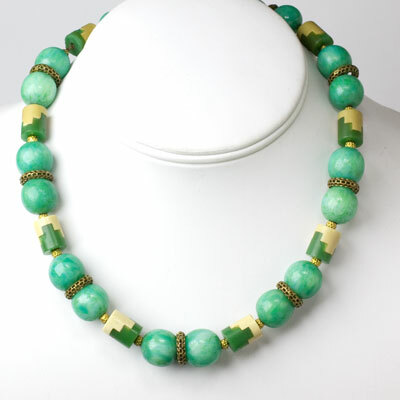 This 1920s French Art Deco necklace is formed with jade and ivory Galalith inter-locking barrels, pale jade glass beads, and brass spacers strung on chain. 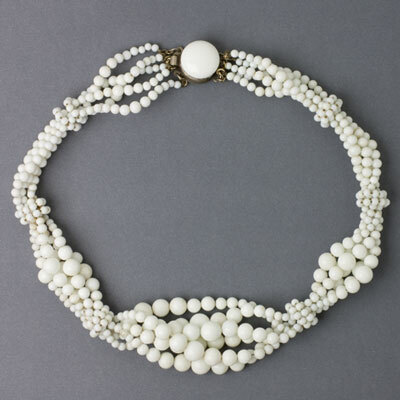 Though unsigned, the beads and necklace design are unmistakably by Louis Rousselet. 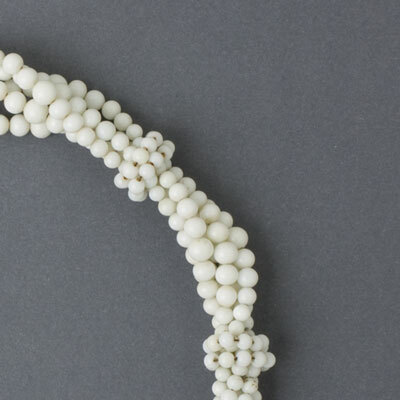 This piece, which is known as a puzzle necklace, closes with a screw-in beehive clasp. Although this jewel is no longer available, you might like another version of it in blue and cream – scroll down to see it.